JOIN THE SNAP IT BABY REVOLUTION with THE RADON DAUGHTERS! Four women explore life, love and art and re-define the archetypal bohemian modern woman and the artistic feminist revolution! 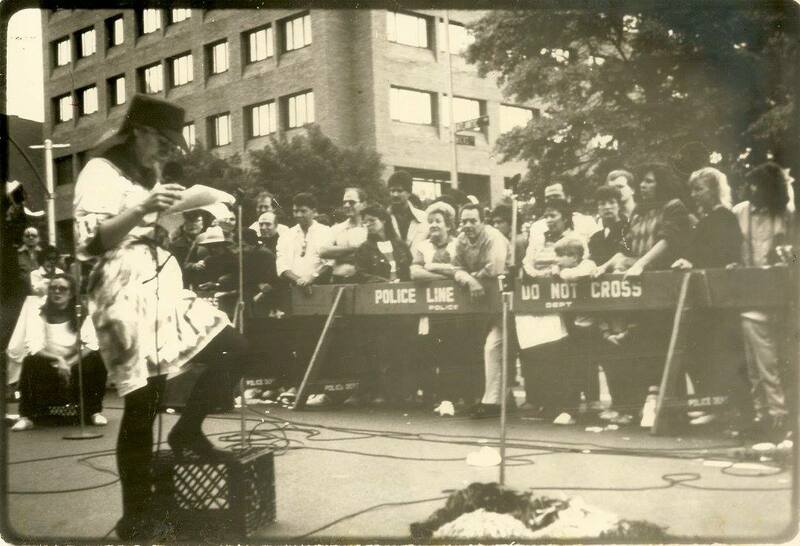 In 1984 Radon Daughters was produced by the experimental theatre company, Meltdown Performing Arts on the streets of Brooklyn and at Coney Island’s Sidewalks by the Seashore. Radon Daughters eventually developed into a pop opera by Bronwyn Rucker and Woody Regan and was performed in cabarets in Midtown and the Village. The music has been documented in a CD, Radon Daughters on Original Cast Records. The version presented in MITF is the original poetry and is the new beginning of this avant-garde adventure. Another Meltdown production, John Cage Meets Sun Ra, was reissued in June by Modern Harmonic on LP and CD. This historic concert took place in Coney Island at Sideshows by the Seashore. It is truly terrific that these 1980’s revolutionary productions are finding great relevance today! 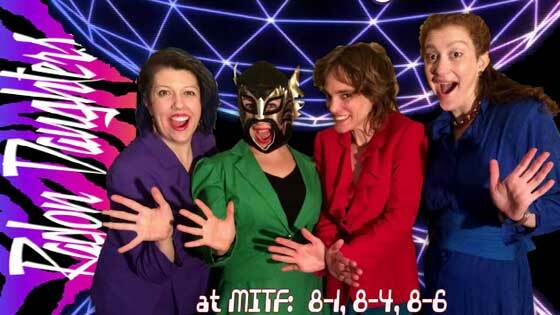 John Chatterton’s Midtown International Theatre Festival sets the gold standard for presenting new and exciting independent theatrical works in New York. This year – with a booming variety section, a prominently-placed Short Play Lab, a burgeoning Short Film Lab, nearly 60 productions – with a record number of musical presentations (including an opera) – as well as an astounding number of international works, the 17th Annual Midtown International Theatre Festival once again proves itself to be one of the best reasons to stay in New York in July!